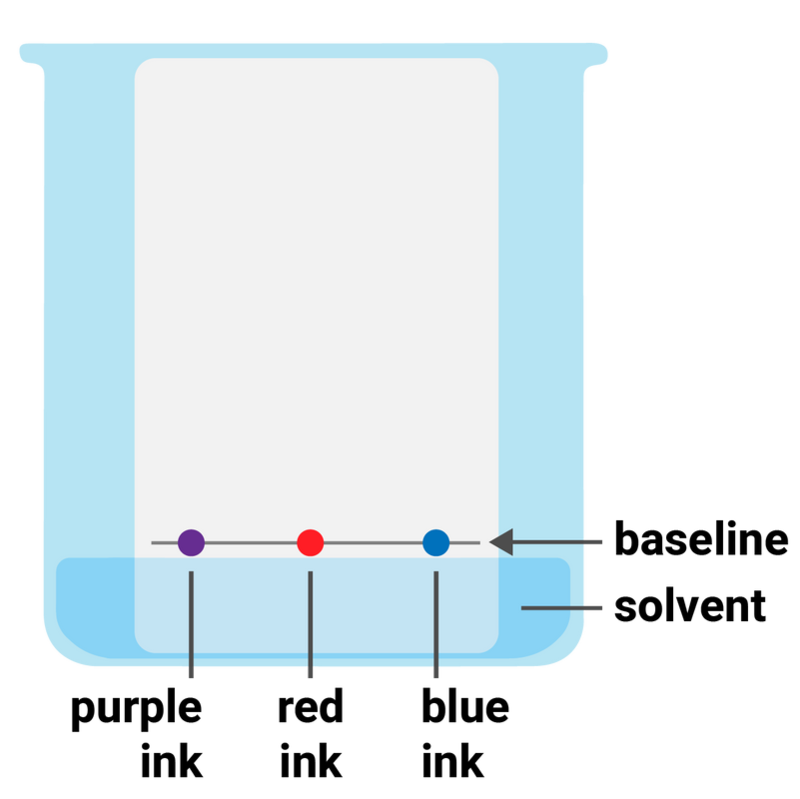 This core practical is in two parts; a simple chromatography practical to obtain a chromatogram of dyes in ink and using simple distillation apparatus to separate pure water from ink. It needs to cover usage of a Bunsen burner, methods used in chromatography and distillation and safety of handling liquids. What is the appearance of the distilled solvent? Explain any difference in the appearance of the solvent and ink. At what temperature did the thermometer read as your solvent condensed? How does this compare with the boiling points of common solvents like water, ethanol or propanol? Calculate the Rf value of each spot.